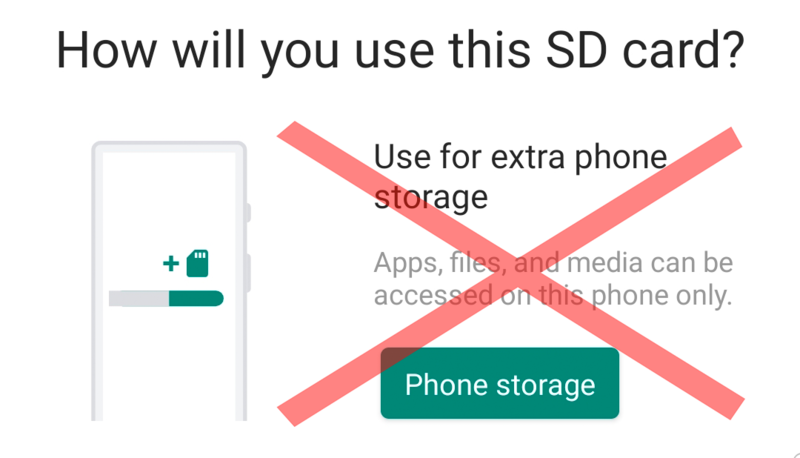 Whether or not adoptable storage is actually a good idea is up for debate, with many arguing that the failure rate and slower performance of SD cards makes this feature undesirable. There's also the fact that you lose the ability to quickly remove the card and move data to another device. Either way, according to SamMobile, it's not something Samsung users will have the option to use just yet. For those who were looking forward to it, all's not lost, and it's quite possible that we will see it a future update. Perhaps Samsung wasn't able to complete the functionality in time for this first official Android 9 Pie build, or maybe it's only destined for budget phones — we'll have to wait and see.